Apple this year has increased its focus on the integration between its desktop and mobile OS offerings. 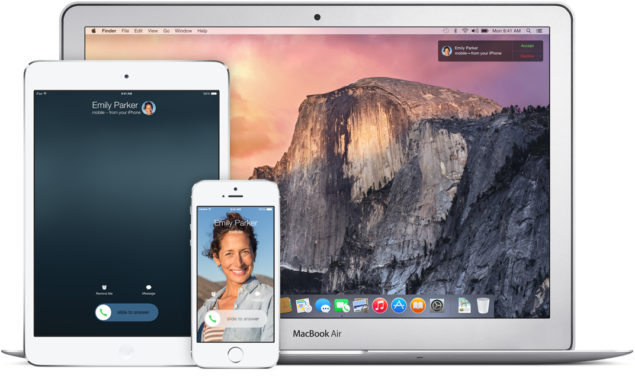 With the latest iOS 8 and OS X Yosemite, a number of new features like Continuity and Handoff are being offered. These features essentially allow a user to have a seamless workflow across the devices – start a task on one device and keep working on another, never interrupting the work. This guide will help you to successfully setup handoff on OS X Yosemite 10.10 and iOS devices to experience this helpful feature. While handoff is currently an unavailable feature in the beta; however, devs and testers have found a way to enable this “hidden” feature in the beta builds. Bluetooth and WiFi should be turned on on both iOS and OS X devices. Ensure that your both devices are on the same WiFi network. Log on to the same iCloud account on both the devices. Also ensure to have logged on FaceTime with the same account to have phone calls feature work. Hand Off wouldn’t work if your Safari is in Private mode. Go to About this Mac and then System Report. Under the Bluetooth Category, ensure that your LMP version is be0x6 as anything below that wouldn’t work for this guide. Next, go to System preferences > General and then click on the allow handoff box at the bottom. Now, on your iOS 8 powered device, go to Settings > General and enable hand off. Again go to your Mac and open FaceTime > preferences and check the allow iPhone calls box. When opening a new web page on Safari on your iOS device, you will get a bouncing icon on your Mac dock. When opening a web page on Mac, your iOS device lock screen will show you an icon placed opposite to the camera icon. Swipe it up to open it.